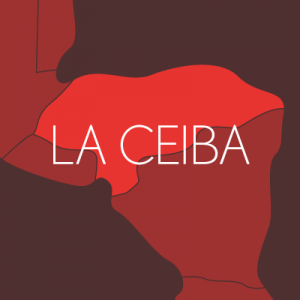 The origins of the church in La Ceiba go back to the 1980s, when evangelistic efforts brought a couple of people to Christ. From there, some people from the GCLA church in Tegucigalpa came to share the Gospel on the streets and lead a bible study in someone’s home. In the first decade of the XXI century God provided the Great Commission Complex where we have been able to serve the city in the physical, emotional, and spiritual aspects with the sharing of the Gospel and teaching them the practical way of living a full life based on biblical principles. In 2011 we started the multisite strategy and today we are a church with two locations, having meetings on Wednesdays and Saturdays in the Vista al Mar Location, and Sundays there are two services in downtown location. Localidad Vista al Mar: Desvio al CURLA, al sur de la colonia vista al mar. Localidad Centro: Instituto Zoila de Santos Pineda, blvd. 15 de Septiembre. Main Office: Complejo Vista al Mar. Desvio al CURLA, al sur de col. Vista al Mar.